Someday I will get into a good rhythm with this blog (having my pc fixed will help!). In the meantime, I wanted to share the good news that I have published my first official article! I am pretty excited. It was quite a thrill to pour myself into something heartfelt and then see it arrive in my mailbox in print. I just discovered I can point you to the online version, so until I have my pc all to myself again to do some more blogging (I keep stealing my hard working husband’s whenever I can) here is the link to some other writing I have been doing. Once you get there click on the Spring 2011 Newsletter and scroll to page 11. My article was given the title “From Happiness to Grief and Back Again” (my original title was “A Case for the Range” which was obviously a bit out there to make sense to the masses – I’ll take the edited title:). 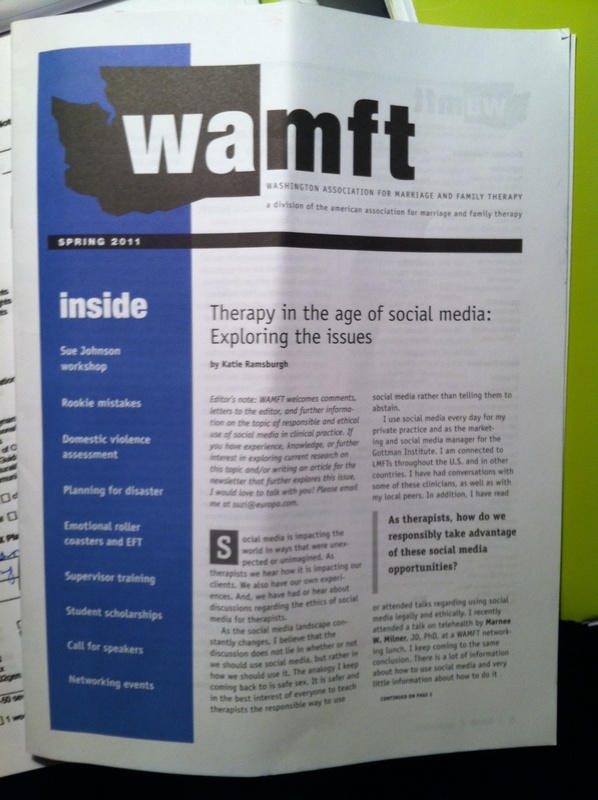 Or you can go to http://www.wamft.org and click on the newsletter tab to get there. If you take the time to find and read it I would love to hear your thoughts. 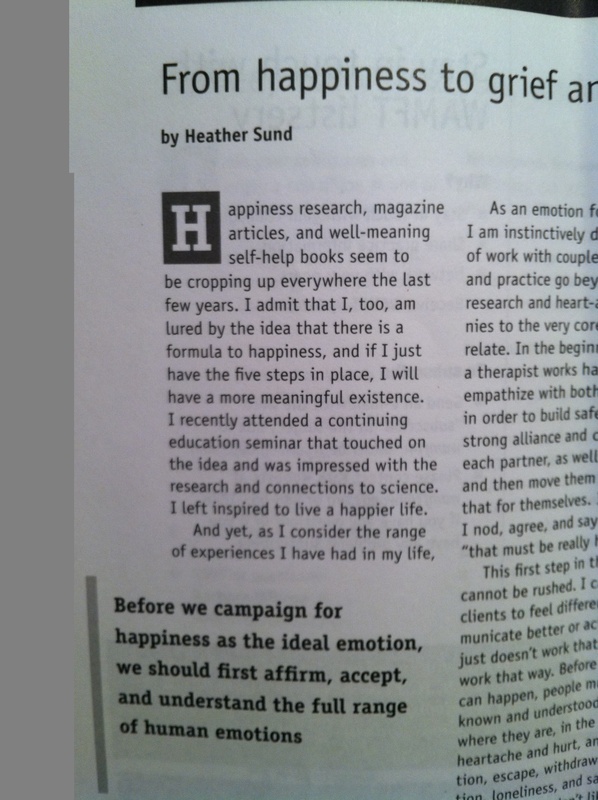 It would not only mean something to me personally but professionally it will inform my work as a therapist too. If you have a story to share of when you have felt affirmed, and therefore cared for, when you were not at your best and it made you better, I would love to post those too. I definitely feel encouraged to get some more inspired thoughts out there as soon as I can! Hope you feel encouraged in whatever emotional state you are in today (you’ll see what I mean:).